When it comes to burning sun, there is no way one can do without a proper headwear piece. Not only is it dangerous for your health to go around without a decent hat, but also it might bring undesirable consequences for your hair. It should not be of a big surprise that during summer time our hair is exposed to a stronger damage caused by the ultraviolet rays. Besides, it is the three warmest months when we tend to spend most of the time at the beach – therefore, our precious hair interacts with the salty water too often. Hence, we ought to do everything possible in order to protect the most important element of our gender identity. Below are several ways to do it: take a look at the most fascinating headwear pieces of this summer. What you will acquire is going to both keep you safe and help you stay on trend. The hottest headwear trend of this summer will definitely speak to you. There is no way one can stay untouched by this marvelous accessory, as it represents one of the most unique pieces. 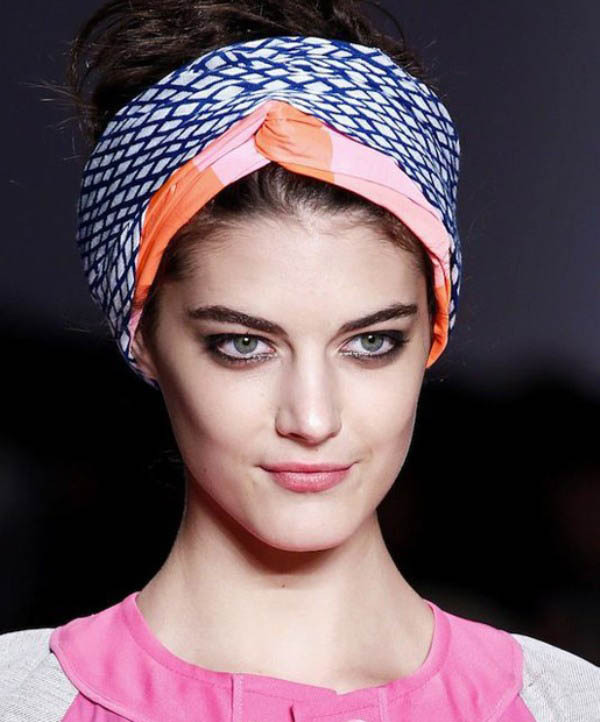 Turban hat is going to be very popular soon – and there are several reasons to it. For one thing, it is quite exotic, since such a piece is saturated with oriental motifs. The latter have always attracted a lot of attention, so no wonder everyone is obsessed now with this item. Moreover, this piece is designed in a very light and cosy fabric, which will give you more comfort. Lastly, there are plenty of ways you can arrange and style the turban, so the world is your oyster. One last note: your saucy piece can be of any color and in any print – none of it has to match your outfit. Classic fits are also in vogue this season. 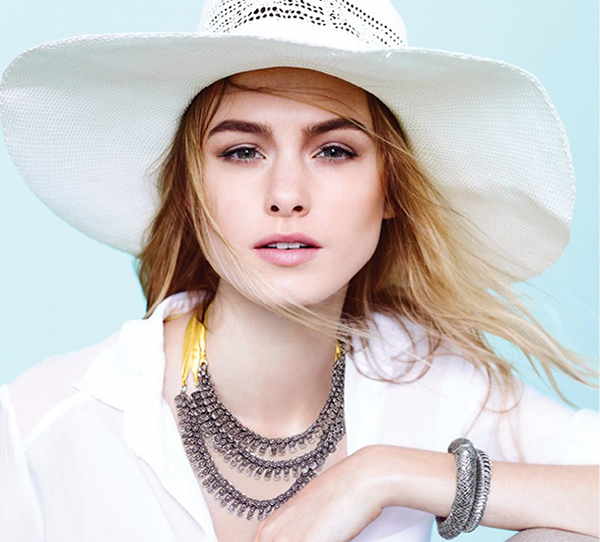 Wide-brimmed white hat is exactly what you will need during the hot days that are coming very soon. This item will save you from the radioactive light the best – quite a strong argument to take into account, isn’t it? Besides, what can be more engaging and appropriate than white shade? This hat will totally fit into any of your looks and even make it more interesting and stylish. Be it a maxi dress, flare skirt, ripped up shorts, or boyfriend jeans – any outfit will just gain from such an accessory. Elegant lace hats with tiny brims will complement any look as well. The difference is that in this case we are talking about a more exquisite and sophisticated outfit. This piece will by all means speak to your boss, as it does not look any vulgar at all. Quite the contrary, the hat will cover your head in a very aristocratic manner, reminding everyone around of Kate Middleton and her endless collection of headwear pieces. A classic pant suit, pencil dress or white shirt with a tie will make a perfect match for the saucy hat. Attention, please! The following hat is not going to fit into your office dress-code, so make sure you are not including it in your job-related list. However, such a hat is an excellent choice if you are planning to impress your friends or just random people on the street. Unless you are the most creative individual in the neighborhood, do not risk to wear such a piece. Yet, if you have a goal to become such kind of a person, go ahead – the city-wide recognition will not make you wait for too long. 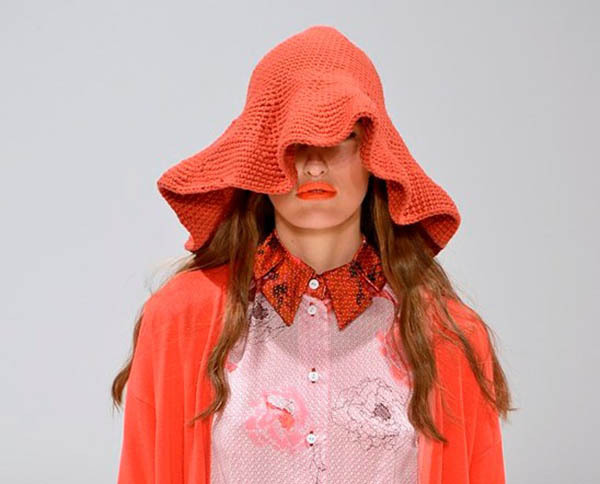 The coral red hat with wide brims covers most part of your face. This is where the trick lies though. While it may not be that comfortable to rock such a hat all the time, you can easily sport it for a time-being – during your spying operation on your beloved one, for instance. With this item on your head, I doubt that even your grandmother will manage to recognize you. Nonetheless, one has to watch out: the last thing you want to do is to tip over a pile of garbage and spread across the ground. And of course – how can we possibly survive without a cap? This summer essential has lost its gender feature a long time ago. You won’t surprise anyone, if you show up in a rather male-like cap. As long as you feel comfortable in it, the thing works. Moreover, there are so many variations today, that it is impossible to not fall for at least one of them. Besides, these pieces are quite functional – they will protect during a walk along the sea shore, jogging time, or a hiking trip up to the mountains. Depending on the style and print of your cap, your main outfit may be either totally sporty or just smart casual. These were the hottest headwear pieces of the coming spring months. If you have not had a chance to think about the hat of your dream, it is quite the time. Hopefully, the above examples provided you with a better understanding of what the saucy accessory should look like. What Hats To Wear This Spring?